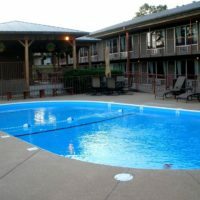 Remarkable value for the price and things included with your stay, this hotel is the complete package that offers location, great rates, and everything that you might want for a great stay. 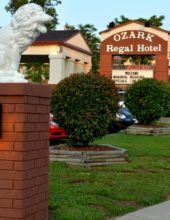 Booking tip: Ozark Regal Hotel is very popular, advance reservations are recommended! 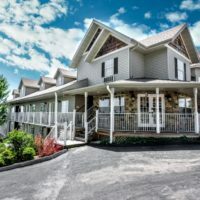 The rare property that provides location, services, amenities, and price to deliver outstanding value – the Ozark Regal Hotel has been attracting visitors who visit year after year for an amazing stay in Branson, Missouri. 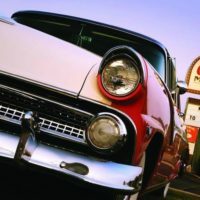 Customers are a top priority as the hotel strives to make every attempt at ensuring that each guest’s stay is as comfortable and enjoyable as possible. From the warm and friendly greeting you receive from the staff upon check-in to the best wishes upon your departure, you will find that every effort has gone into your complete and total satisfaction. 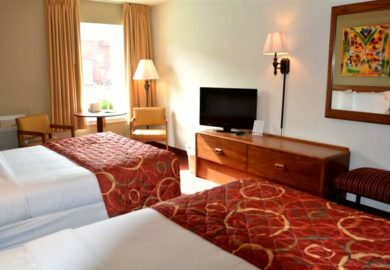 If you’re looking for modern lodging accommodations and amenities, you will have to look no further than this hotel. Recently, the rooms and interior have all been given a makeover – resulting in a hotel that is clean and contemporary. Updated bedding including sheets, pillows, and comforters have been set up in all of the rooms – ensuring a clean and comfortable night’s sleep. 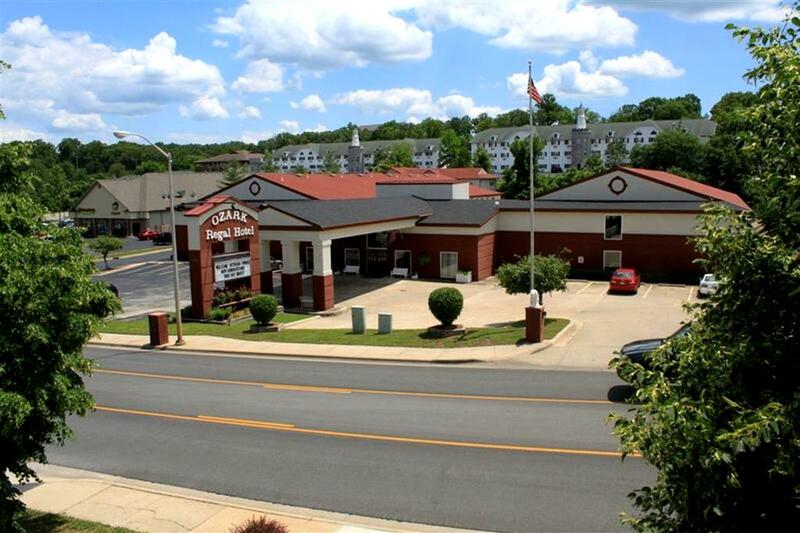 Convenient Location on Green Mountain Drive! Set alongside one of the three main routes that run through the heart of town, the property offers great access and convenience to nearly anywhere in town you might want to go. 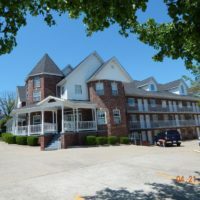 My family has stayed here for several years, we have always been very satisfied with the rooms and the staff is so friendly and helpful and we will definitely continue to stay at the Ozark Regal Inn. The location was great. Off the main 76 strip but easy to access other attractions. 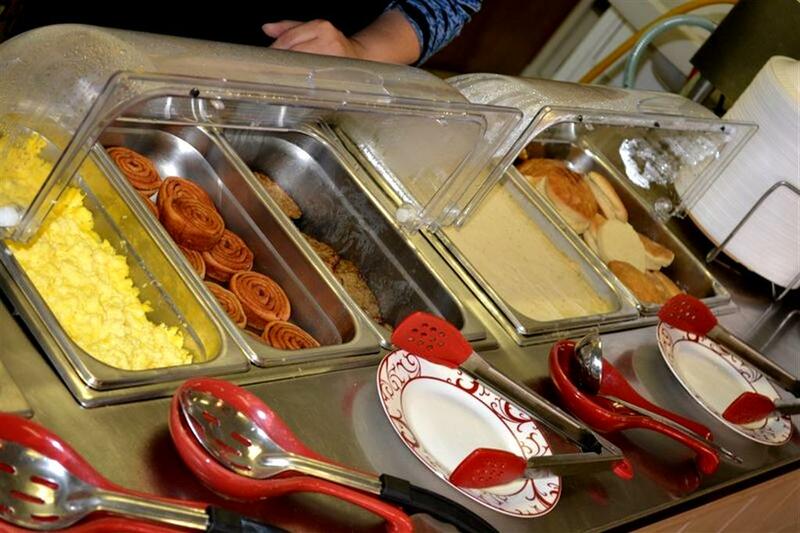 Breakfast was a good hot start for the day. The rooms have paper thin walls, you have a lot of hall and other room noises.